Imagine if Syd Barrett had survived the acid wars and made it whole into the 21st century. He’d probably be doing music that resembles what Phosphene accomplish on Projection. 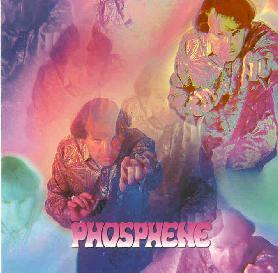 Glasgow’s John Cavanagh is Phosphene, and Projection faithfully duplicates the psychedelic feel of early Floyd while adding to it a lysergic injection of post-Orb and Future Sound of London electronica. Cluster could even be used as a reference point to describe what Cavanagh does at certain points throughout this quirky disc. Some of Cavanagh’s songs are simply charming — in the Barrett sense — and some are genuinely psychedelic pop. “Cosy Sphere” has great lyrics (“You look at me like I’m made of glass/With diamond eyes to cut me down to size”), an addictive groove, and a heart-stopping wheezing Farfisa sound that instantly transports you to 1967. Then there are the ambient pieces (“Souterrain,” “This Is Not a Woodstove,” and “The Ship of Sunrise Burning”) that draw on more purely electronic influences with stroboscopic washes of synth and organ, similar to Eno’s Another Green World vignettes and the precious electro-folkpop of Cluster’s middle period, particularly Zuckerzeit. The disc concludes with the ambient jig “Wild Wind.” Very droney and plaintive, the piece sounds as if it’s based on a traditional Scottish Highlands melody and makes for an appropriate coda to this impressive set of songs. Very engaging and compelling, Projection resists any attempt at definitive classification. Like Eno, Cavanagh’s music is both eccentric yet oddly accessible. And like Eno, though you probably won’t play it every day, there will be those times when you’re irresistibly drawn to the sheer strangeness of the man’s vision and his wholly original musical vernacular. For more information you can visit the Phosphene web site at: http://www.phosphene.debrett.net. Projection is distributed by Secret Eye. You can visit their web site at: http://www.secreteye.org.